Were you or someone you love injured in a motorcycle accident? Call us today to learn about compensation. People have a lot of prejudices against motorcycles and their riders, but if you or someone you love have been injured or killed in a motorcycle crash, you deserve to be treated with respect. The Nashville motorcycle wreck lawyers at Whitfield, Bryson & Mason can get you the compensation you deserve. 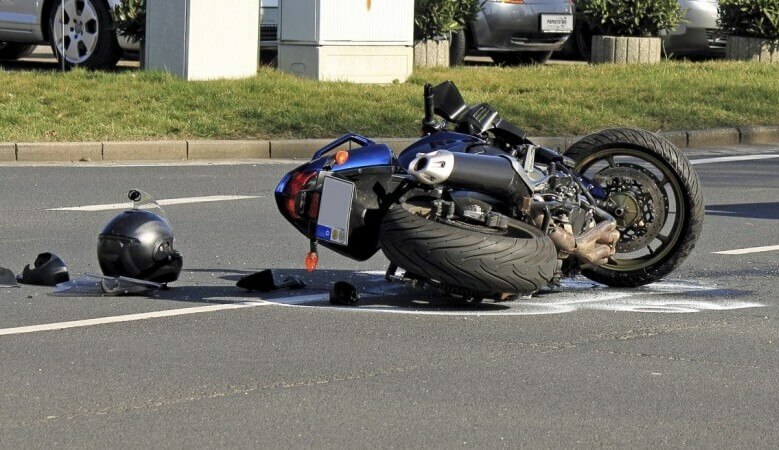 You share the road with motorcycle riders everyday, but you may not know that they are 26 times more likely to die in a motor vehicle accident then people in passenger vehicles. While there are only 8.4 million motorcyclists on the road, they make up nearly 15% of all traffic fatalities. The limited protection provided by motorbikes puts motorcyclists at a much greater risk of injury or death in an accident. Because motorcyclists have little to no protection, even a moment of negligent driving can be life-altering. Changing Lanes Without Checking for Motorcycles – Drivers are not always as careful as they should be. When a driver changes lanes without looking for motorcycles, they can collide with the motorcycle, causing devastating injuries. Failure to Yield – Failing to yield is one of the most common causes of accidents. While there are a variety of reasons these types of accidents occur, they are generally caused by inattention. Failure to Obey Traffic Signs and Lights – Running a red light or stop sign might not seem like a major traffic violation, but the reality is this carelessness puts lives at risk. Road Hazards – Because motorcycles only have two wheels, the center of gravity is not as stable as four wheeled vehicles. When roads are not properly maintained, even small potholes could cause a motorcycle to lose control. Victims of motorcycle accidents can suffer from a ride range of injuries. Most commonly, victims experience road rash, or abrasions on the skin caused by contact with the road. Unlike other forms of transportation, these victims are more likely to suffer lower extremity injuries, however, their heads are particularly vulnerable and a traumatic brain injury (TBI) is also possible. Overcoming injuries from Nashville motorcycle accidents can pose substantial financial problems for the victims and their families. Many injuries require months of physical therapy and rehabilitation, and some injuries might cause permanent damage requiring specialized medical equipment like wheelchairs. The cost of emergency treatment, physical therapy, equipment, and medications can quickly add up to more than expected and way more than the injured party can afford to pay. One of the difficulties associated with getting compensation for a motorcycle accident is the inherent bias some people exhibit toward motorcyclists. Many people believe motorcyclists knowingly take on heightened risks when they choose to ride, however, motorcyclists are still very much legally entitled to receive compensation for dangerous actions taken by negligent drivers. Why Hire A Motorcycle Wreck Lawyer? If you’ve been injured in a motorcycle crash, you probably have many questions, but a motorcycle accident lawyer can help answer these questions for you so you can focus on getting better. You might think your motorcycle insurance will cover all of your expenses, but the reality is that insurance companies want to limit their payout as much as possible. Without an attorney by your side, your insurance carrier might offer lowball settlements that fail to cover all of your expenses. With the help of an attorney, negligent parties can be held responsible, through legal action. If and when your case goes to trial, you will need experienced attorneys who can properly demonstrate your case to the jury. Our attorneys work with industry experts and crash reconstruction specialists to help you win your case. How Much Does It Cost To Hire A Nashville Motorcycle Crash Attorney? Our attorneys offer absolutely free consultations. We work on a contingency fee basis, meaning you won’t owe us anything unless we help you recover the compensation you deserve. The attorneys at Whitfield, Bryson & Mason know how insurance companies can show prejudice against motorcyclists and know how to fight for your compensation. If you or someone you love was injured or killed in a motorcycle wreck, we can help you protect your rights. Our own lawyers are avid riders, so we not only fight for your rights, but we are truly on your side. Contact us today for a free consultation.